Shrinking oil reserves and the resulting need for deep water explorations is challenging manufacturers to develop safe and efficient offshore structures and vessels. Our Hydrodynamic solutions are aimed to investigate the behavior of liquids, in particular the movement of water across a range of coastal environments and marine structures. 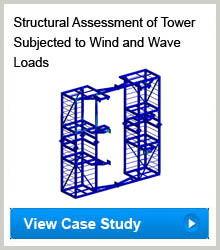 We help engineers in designing better offshore structures and large vessels to withstand wind and wave loads to ensure safe operating conditions for floating explorations and transportation. Our CFD analysts assist clients in evaluating conceptual marine structure models prior to physical testing to improve the design and gain control over the costs and development time right from the early design stages. For details, contact us at: info@hitechcfd.com or request quote.